Jonathan is a movement, strength and conditioning coach as well as a physiotherapist. He encourages his clients to view their physical training, recovery and rehabilitation from a wider perspective, to develop greater resilience, health and well being. Movement is pivotal to our mental and emotional well-being as well as our physical performance and health, yet as a population we are less connected to our movement than ever before. The movement we do engage in is either narrowly and specifically directed towards a sport or activity we participate in, or it is mindless and monotonous. 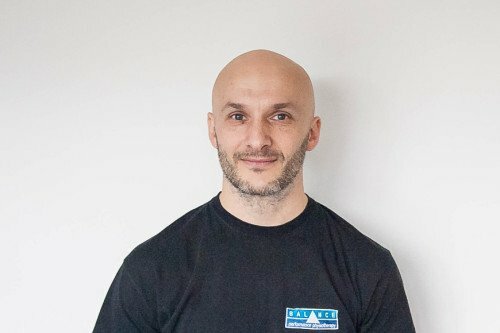 In Jonathan’s sessions he emphasizes the absolute necessity of good daily movement habits to achieve good health; the benefits of a movement practise to increase awareness, develop better breathing patterns, develop better accuracy and fluidity of movement; and how to deal with the obstacles to progression and performance. The obstacles will become even more apparent as we move better and more frequently. The intention is to build and maintain a strong foundation from which clients can then perform their chosen activities with more flow, confidence and increased resilience. Whether your interested in health and fitness, offsetting the stresses of modern city living or improving your performance in any activity – from surfing to Brazilian Jiu Jitsu -the fundamentals of being a healthy human remain the same. So irrespective of the activities we select for your training sessions – ground or standing movement/ joint mobility practice, stick drills, strength and conditioning utilising bodyweight, kettlebell, sandbag or CrossCore180 (rotational suspension) a strong emphasis is placed on movement accuracy, breathing and mindful execution. Using BlackRoll or Trigger Point Therapy tools, foam rollers and all manner of other self-massage tools Jonathan also teaches effective self-myofascial compression and release techniques. These are used to enhance recovery and regeneration, prepare for practice and competition, and overcome obstacles to rehab and physical training that arise from excessive tension in the body. Position, breather, move. Once good movement is possible training with intensity is far more effective: strength, speed, power, endurance, flexibility, agility, balance and performance is enhanced. Jonathan’s holds a strong belief in empowering his clients to take better care of themselves, develop greater knowledge and cultivate the resilience to maintain their own health and well being. Jonathan is one of Balance Performance’s founders and directors (2001). He has a special interest in the habits and behaviours that provide not just longevity but a long span of health and resilience to ill health and injury when it occurs. His professional experience in performance, strength and conditioning, recovery, rehabilitation and movement practises began in 1989 as a Royal Marine Commando. He became a physiotherapist in 1996.